With the moon hits your eye like a big pizza pie, that’s amore. The international language of amore requires no translation, but how exactly do Italians fall in love? Ask for directions: While you will still hear calls of “ciao bella” down the street, a more popular pickup line is to ask for directions. Online dating has yet to become a popular way to meet future beaus in Italy, so asking for a bit of help gives you an excuse to approach the object of your affection and strike up a conversation. Once you have the directions you probably didn’t need in the first place, you can offer to buy him/her a caffè. First date: Forget the cinema, most Italian first dates involve a walk and a bit of conversation. Inviting your crush on a passeggiata, and maybe a gelato, means you don’t have to commit to a fancy dinner or drinks up front. If things go well, you will eventually become “fidanzati,” or boyfriend and girlfriend. However, if you want to continue to woo your beloved, you better download Whatsapp. The popular messaging service is how friends AND lovers keep in touch through out the day. Meeting the parents: If things are getting serious, you will have to take a deep breath and meet the family. When dating, you go to the parents, rather than waiting for them to come to you. While it might be more comfortable to meet on neutral ground like a restaurant, more often than not you will be driving out to mama’s house to eat a home cooked meal. Praise your beloved to his or her parents and clean your plate of all you’re served if you want to make a good impression. Next come marriage: Italian weddings begin with the civil ceremony, but only after announcements have been made in newspapers and other public forums to allow time for any objections to be aired. For many couples, the city hall wedding is the main service, while others will plan for a large church wedding days or even weeks after. Regardless of the ceremony type, the meal is the real event. Think multi-courses, with food and wine flowing all night. At the end, send the happy couple sends guests home with even more treats – confetti (sugar coated almonds). When it comes to exploring in Italy, Tuscany ranks among the top destination on every traveller’s list. 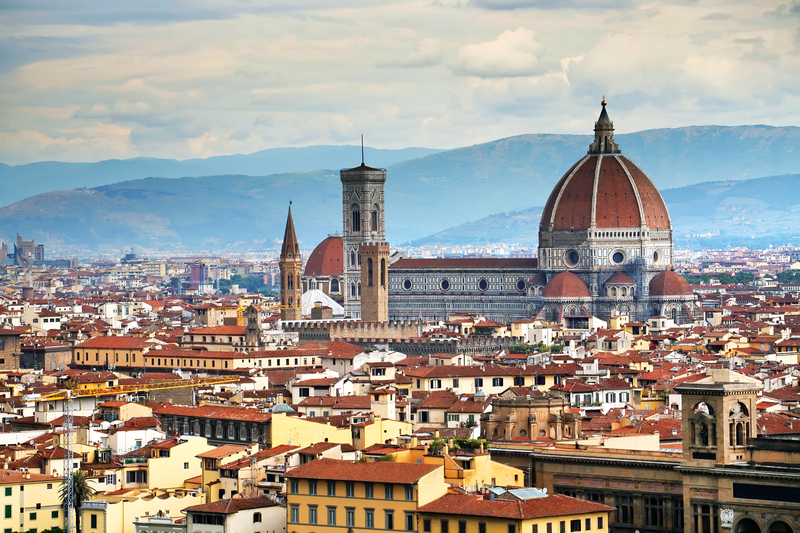 Florence, for example, is consistently voted as the top city in the world. As gorgeous as Florence is, the real beauty of Tuscany is in the hilltop villages and rolling vineyards, and olive groves that blanket the famous region. Seeking out the back roads and undiscovered towns is an Italo-philes dream come true. One Tuscan destination that cannot be missed is the village of Montalcino in the famed Val d’Orcia. Home of the Il Poggione Winery where Mazzoni Wines are made, this historic region is well known for making the most highly praised Brunellos in the world. To make the most of any trip, or to imagine one from home, follow our guide to the hilltop town. Tuscan towns tended to be built on hills for defense, with the height serving to deter invading armies, or at least offer a better vantage point to observe invaders from. The village of Montalcino was also a walled city for further protection and the fortress was built into the city walls in 1361 at the highest point. Follow the street extending from the fortress to arrive at the 13th century church of St. Augustine. A building that formerly served as a convent next to the church is now a museum which houses the most famous artwork of Montalcino- a beautiful sculpture of the Madonna by an anonymous artist. With small winding alleyways, cobbled streets and stone houses, the historic center of Montalcino requires no itinerary. Explore the different corners, old abbeys and characteristic Tuscan feel. Montalcino is famous for its red wine, so order a glass and select a meal that naturally goes well with the full bodied wine. In Montalcino this could be pasta with a ragu made with wild boar (none as cinghiale), roasted pork stuffed with herbs, or ribollita – a hearty soup made with vegetables, beans and bread to thicken. Finally, in addition to wine, Montalcino is famous around Italy for its honey. The easiest way to get around Montalcino once you arrive is on foot, so cute but sturdy walking shoes are in order. Spring and Fall call for a light jacket, whereas summer temperatures can reach the high 80s. Winter brings rain and some wind, and while it usually stays well above freezing, a winter coat will keep you warm while exploring town. 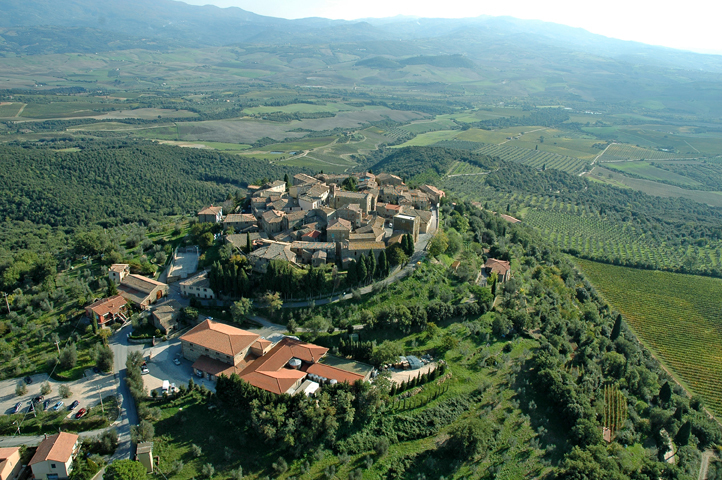 Montalcino is located in the province of Siena, but is also close to Florence and Pisa. The easiest way to arrive is to take the train from any of these three cities, as the regional line runs several times a day. Schedules are available on TrenItalia. Buses from Siena are also an option, and the closest main motorway is the A1 to the SS478 for those arriving by car. There are many rules about living in Italy. For example, it is unlucky to make a toast with water- only wine will do! Furthermore, you should never trim your toenails or fingernails on a Thursday, do anything associated with the number 17, or go for a swim without waiting 3 hours after eating. 3 hours! 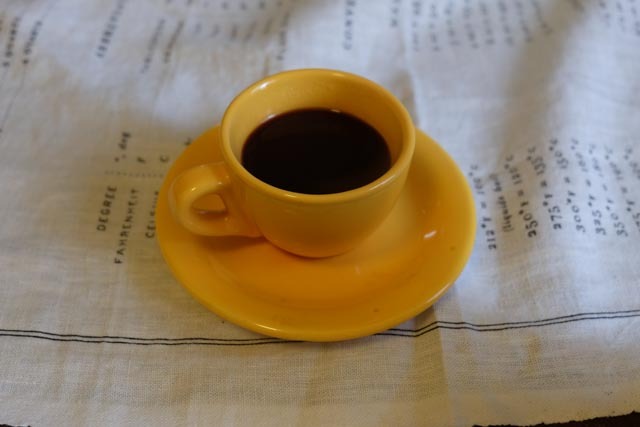 But when it comes to coffee, the only rule is that it should be enjoyed often. (Also, that it should be called simply “caffé” not “espresso”). 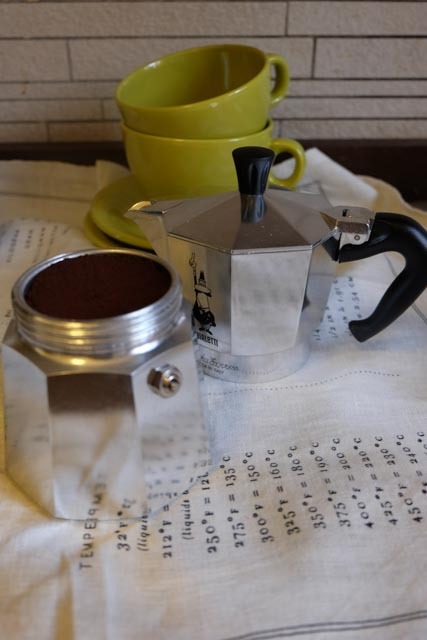 Making Italian coffee at home does not require an expensive espresso machine. 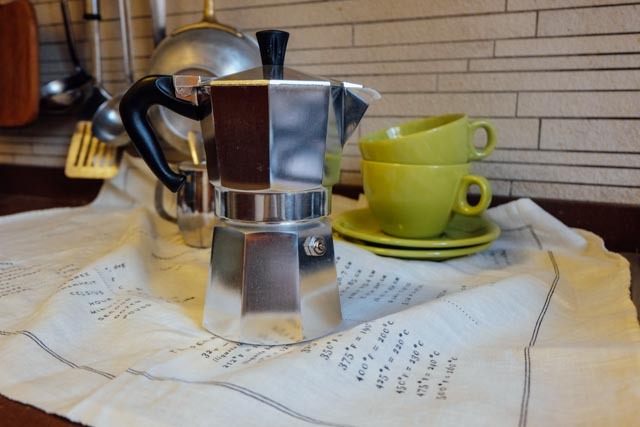 You can make fantastic Italian coffee on a stovetop in these easy steps. 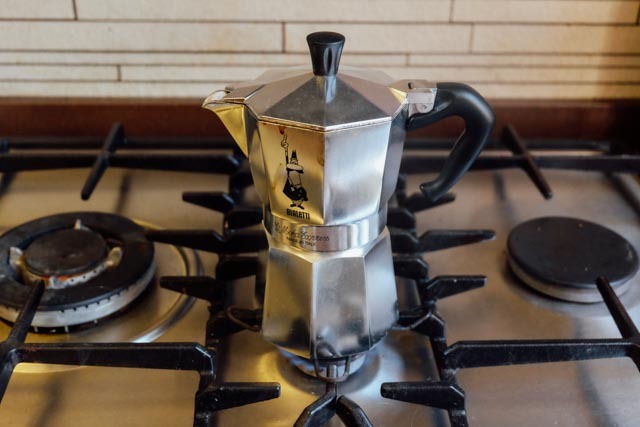 All you will need is water, finely ground coffee, and a moka pot- a staple in all Italian kitchens! Unscrew the top chamber from the bottom, and remove the basket. Fill the bottom chamber with water up to the faint line, or about 1 inch below the top. 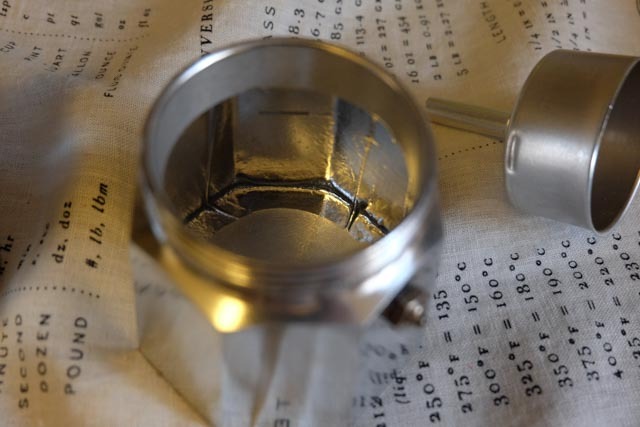 Place the basket back into the bottom chamber and fill with finely ground coffee. Tap lightly to smooth, but do not pack the coffee. Screw the top chamber on and place over low heat. 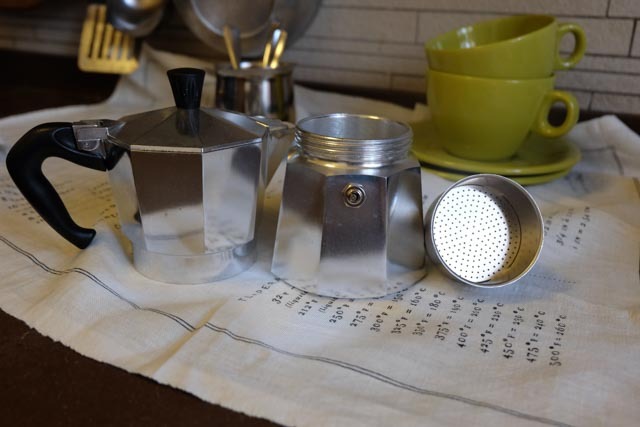 If you have a new moka pot, brew as above but throw away the first batch to break the pot in. 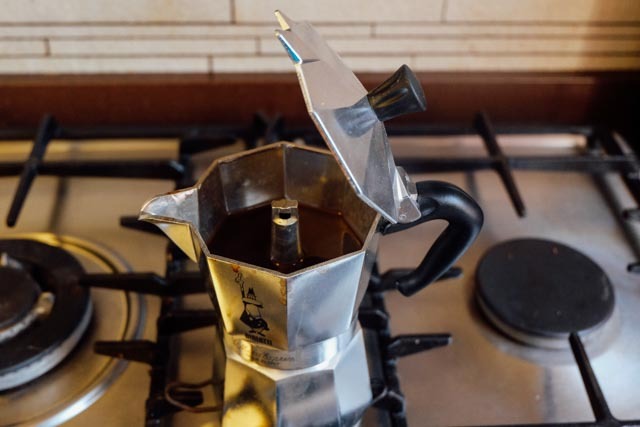 Once you have made Italian coffee at home, you can enjoy a hot caffé, or turn it into any kind of Italian coffee you like, from breakfast to dessert! As Italy-lovers, it is easy to come up with a list of traits we admire about Italian life, but after celebrating the good old US of A on the Fourth of July, we wanted to take a look at what Italians think of Americans. The stereotypes that live on in the eyes of Italians are sometimes half-true, and a few are very funny. 14 days of vacation a year? Working 8-6 every day? Americans are officially hard workers. Italians both admire this trait (and the American economy), but at other times they recoil in fear at the prospect of so few holidays and time with family. America has the best honeymoon destinations. Did you come to Italy, or dream of visiting for your honeymoon or anniversary? Well, Italians dream of going to the U.S. for their post-wedding trips. America is a top honeymoon destination, with the most popular itinerary being a tour of California, a stop at the Grand Canyon, ending up to close the trip in Las Vegas. Americans like Italian food that is a little bit weird. It is. Meat and pasta together?? Meatballs should be served as a second course on their own, after pasta. Chicken Alfredo? Not a thing in Italy! And don’t get Italians started on cheese/peperoni/hotdogs inside pizza crusts. Italians are pretty sure Americans are doing a lot of things wrong in the food department. Americans get everything to go. Why get a take away coffee? Why eat dinner in your car? 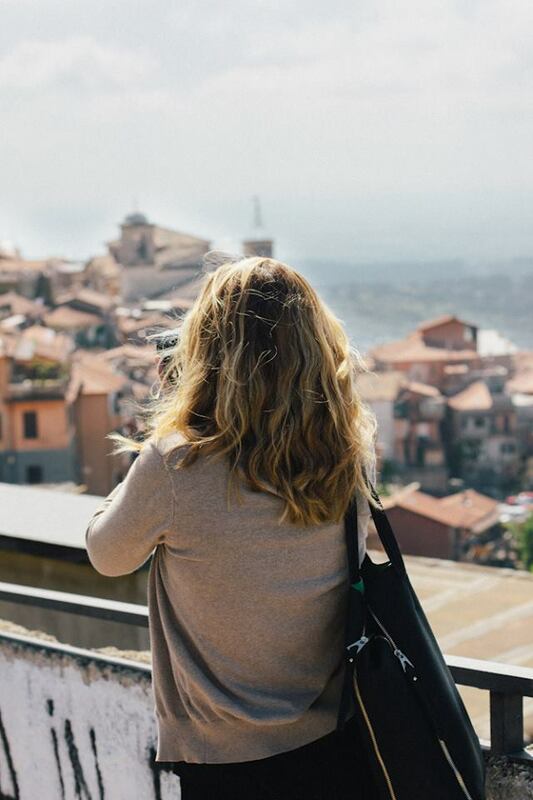 Italians see Americans as leading a more frantic lifestyle and always being on the move. Give yourself a break during the day for a moment of calm, instead of constantly running to the next commitment. Americans move houses, a lot. In Italy, the most typical kind of lease is called a 4+4. That’s four years, renewing automatically for another four years unless something goes wrong—so an 8-year minimum lease on an apartment! It is also more common to stay in the place you were born and raised. Italians watch Americans go off to college, often far from their hometowns and families, and wonder why we transfer ourselves to cities so far away. Each American eats a whole turkey on Thanksgiving, by themselves. Americans have the TV show Friends to thank for this one, but many Italians have heard rumors about Thanksgiving and the feast that goes along with it. One rumor that lives on is that Americans eat a lot on this day—an entire turkey to each person, rather than a turkey per party! Americans are hard to stereotype because the country is so big and the culture so varied. Sure, there are stories of loud-talking tourists, but overall Italians see America as a land of great opportunity, with motivated and professional people, funny food, but also very unique from each other! Did we miss any Italian thoughts on America? ?